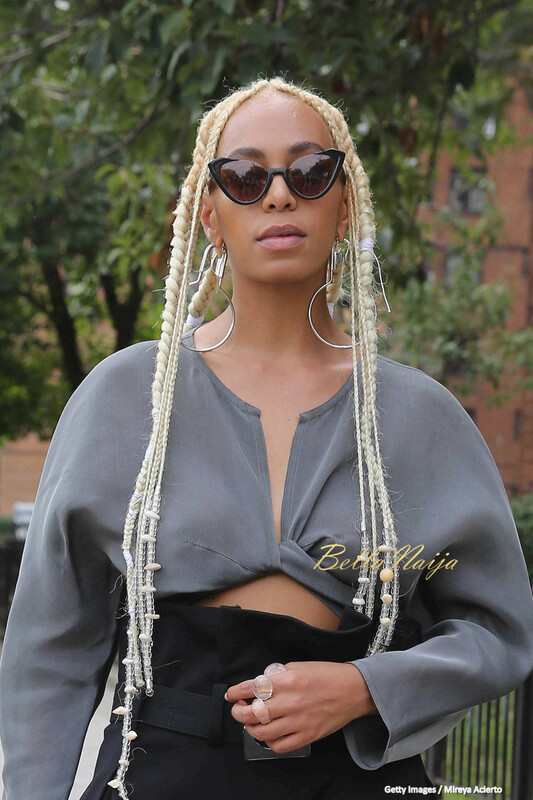 We’ve all come to love and cherish Singer Solange’s incredible hair moments. From her waist-long braids to the full blown out afros. 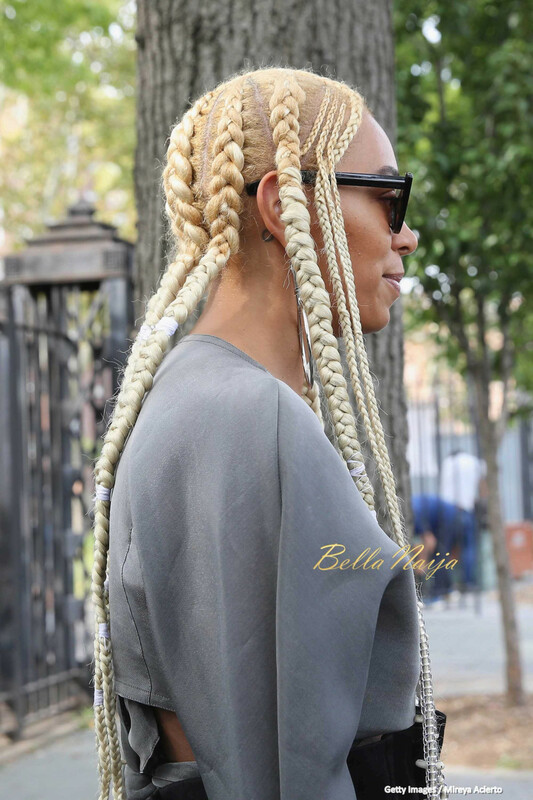 Fans were pleasantly surprised yesterday when she debuted her Teeny Weeny Afro in blonde. However, the singer switched things up again at New York Fashion Week for her performance at the Maryam Nassir Zadeh show. 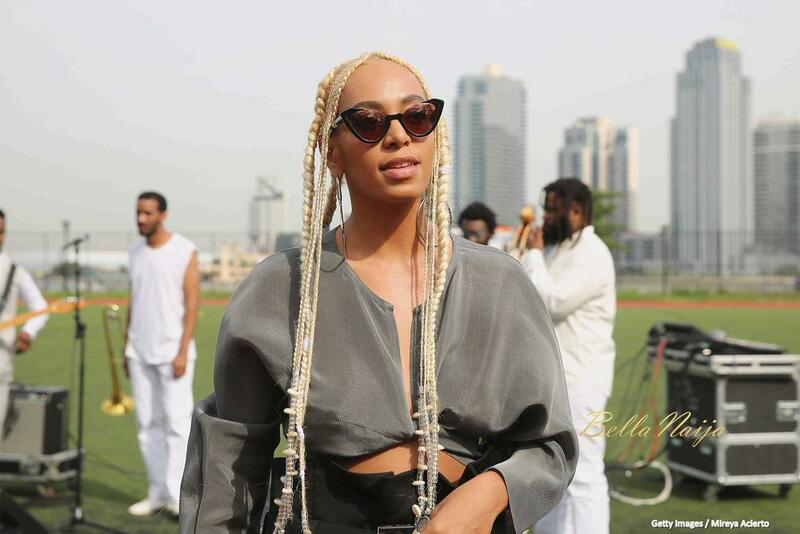 Solange is wearing a new blonde braided look and she looks stylish as ever. She joins Kim Kardashian West who also debuted a platinum blonde look at the Tom Ford Spring 2018 show.